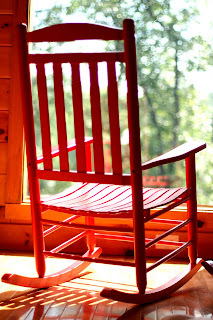 I loved these rocking chairs in the loft of the cabin where we stayed during our vacation. I wish I could have spent more time here; rocking, wondering, dreaming, internalizing, and most of all writing. Writing from the heart, honestly. While I was here I thought about the intricate relationship between the unassuming power of wind pushing against and flowing through the magnificent structure of the trees. How the seemingly subtleness of the wind can bend and sway a being so revered in strength as we see the trees. I am reminded through and through how the answers are already here, in nature, in our day; if we listen, if we watch, if we see the understanding in the relationship of coexisting. I thought about how every thing and being is a teacher in our lives. As I enter this important work of becoming teacher I've been thinking a lot about the voice of our children. I took a writing class this summer and we were asked to write our writing memoir. The most powerful thing I learned in this one week intensive class was that we do not write like we talk. I feel empowered by this understanding. This is not to say I am a brilliant writer, far from, but that when I write I feel honest and that my writings express the realness of me better than I can often verbalize. 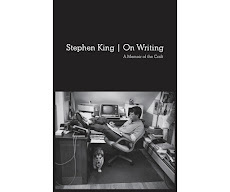 Here is part of my writing memoir- I wrote about my writing process. We all have one- whether it's where we sit, or where we are emotionally and spiritually in our lives, even right down to the visual cadence of how are words form on the page. We are all writers because we all have a story to share. Here is part of mine. I like my writings to be tangible. I usually write by pen first. I like to feel the words on paper, looking like inked graffiti, weighted against my hands. By writing I can share and move my understandings and ideas outward; let go of possession over my internalization and instead take ownership of my ideas. Like the last thistle floret gripping against the rounded belly of a dandelion, my words are held close, unsure of when to let go. 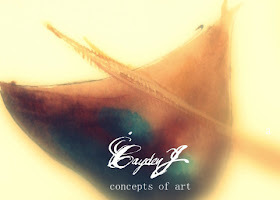 At first, in the beginning, they are just seeds of thoughts; growing and blooming into fractal formations, a kind of chaotic system of context and convention; parts becoming a whole; Then the detachment. At first my writings linger close, as the mother does when taking her baby to kindergarten for the first time. I look up and around as if I am staring at them form against the stationary in my mind. Then like a bloomed parachute my ideas float quietly and slowly downward, towards the page. Writing allows me to let go. As I write, the words stir and move from within to my fingertips in movement to pen to paper, down along the page allowing me to express and reflect and release. I’m giving over to the words so I can express my growth. I notice when I am energized by authentic free-flow writing, I write fast. My handwriting becomes less legible. My hand tightens to hold the pen securely so I can write more, write faster. Words lose letters, letters lose formation, but it is all there- I know the rules, mostly; letters, punctuation, semblance; but expression takes precedence over convention. My writing stops and starts randomly and sometimes I use the wrong word or context, but it flows and makes sense to me. When I get out what I want to say, then I can come back to fill in the rules. I feel writing, and I feel alive. I will always write. I need it to house a lot of my creativity. Not all the time, or at any particular time, but most significantly when inspired. Children are made from Dreams and Superhero Powers. We still are, I hope. your writing is an inspiration to me!